That was how the Milwaukee Journal reported the situation on the afternoon of Wednesday, April 16, 1947. It's a nice photo of the neighborhood park, with the neat line of houses just across the right field fence. You can also clearly see the folding chairs which made up much of the Orchard's seating. Fredric (Shorty) Mendelson was a Borchert Field fixture from the time he was 12. His father operated the Orchard's concessions, and Shorty spent his teenage summers selling hot dogs and peanuts to the Brewer faithful. He went on to Marquette, where he was a track and football star in the late 1920s. Mendelson returned to working the Borchert Field concessions full time in 1936. He parlayed his salesman skills into a part-time job in the ticket office before Bill Veeck took over the club in 1941. It didn't take long for one master salesman to recognize another, and within weeks Sport Shirt Bill made Shorty director of ticket sales. Mendelson stayed with the club after Veeck sold his interest, and was elevated to team secretary by the new owners. 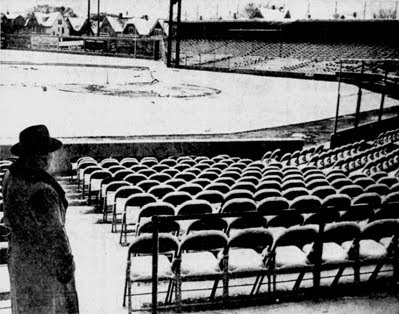 In December of 1946, the Milwaukee Sentinel reported that Mendelson, by then the last of Bill Veeck's original Brewer office staff remaining with the club, "could join Veeck (with the Cleveland Indians) any hour he mentioned the word, but insists he 'likes Milwaukee' and intends to stay." When the Braves bought the Brewer club for their own farm system, Shorty stayed on. He and secretary Betty Voss were frequently the only people to be found in the Borchert Field office as the out-of-town owners directed personnel moves from Boston. In the late 40s, Mendelson spurned several other offers to leave the Brewers, including one with the NBA's Milwaukee Hawks and MECCA arena. Shorty smiled the same old winning smile he had as a 12 year old hustler and said, "Yes, sir, if hard work will make the stadium a great big success, then we'll succeed." County Stadium was indeed a success, drawing a major league club to Milwaukee before it even opened. Shorty had hit the Big Leagues, and although he didn't know it at the time, this meant he would have the opportunity to remain in his hometown long after the relocating Boston Braves sent the Brews out of town. 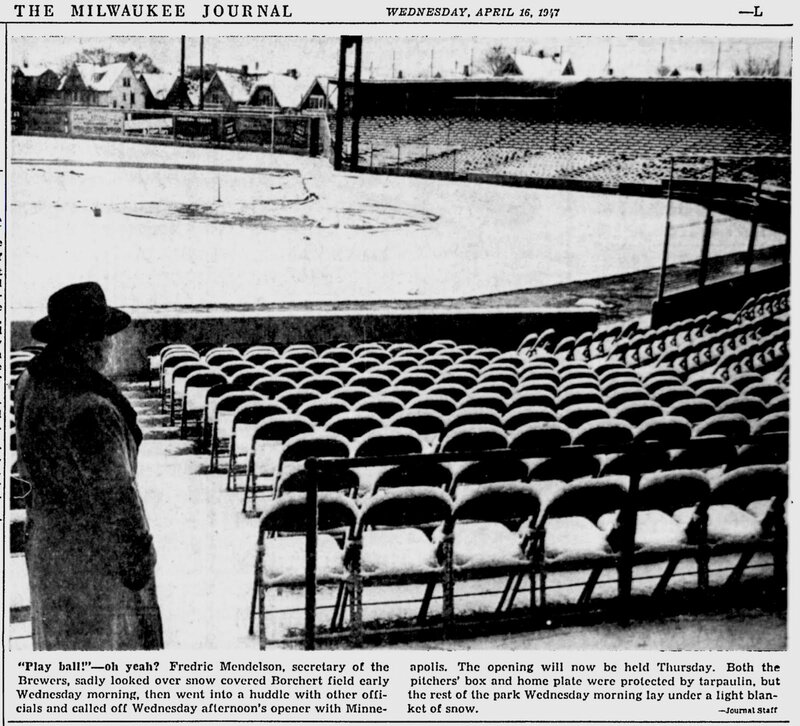 Having opening County Stadium, Mendelson resigned in 1954, finally leaving baseball behind to take over the daily operations of a beer distributorship in Janesville that he purchased with former Milwaukee manager (and fellow Veeck compatriot) Charlie Grimm.